This is an obvious and understandable question but like building a house – the answer could be almost limitless. There are certain necessary inclusions and certifications required, some of which have fixed costs, some of which are negotiable. The concept of cremation being much less in cost than burial may not always be the case if the family already have a licence/lease for a grave which has allowed provision for further interments, in which case re-opening and digging fees would apply. A specific answer cannot be given to this question because of the scope of options available. 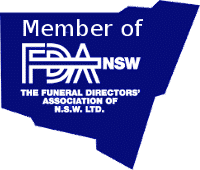 Please feel free to discuss all your costing options with our Funeral Directors.